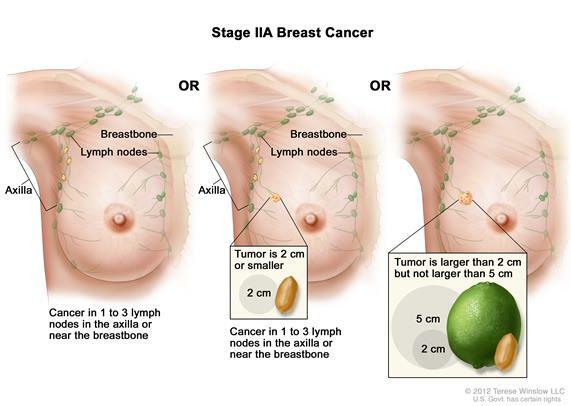 There are several different stages of breast cancer. After someone is diagnosed with cancer, medical doctors will perform a set of test to find out if cancer has spread from the particular location to the rest of the breast or other parts of the body. There are three different ways that cancer can spread inside the body. Cancer may spread from where it started to other regions of the body. 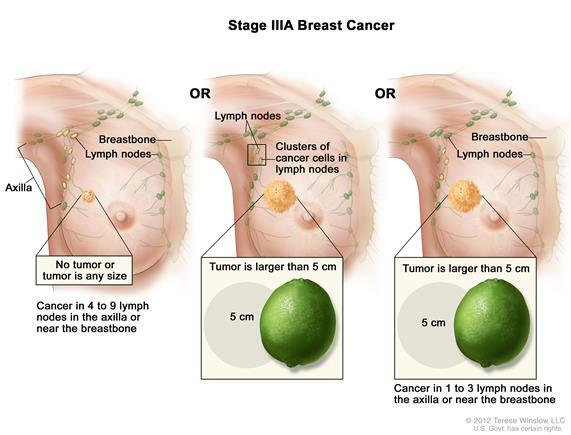 There are four different stages of breast cancer, Stages 0 through four, Stages I, II, IIA, IIB, I11 (lllA IIIB, IIIC), and IV. 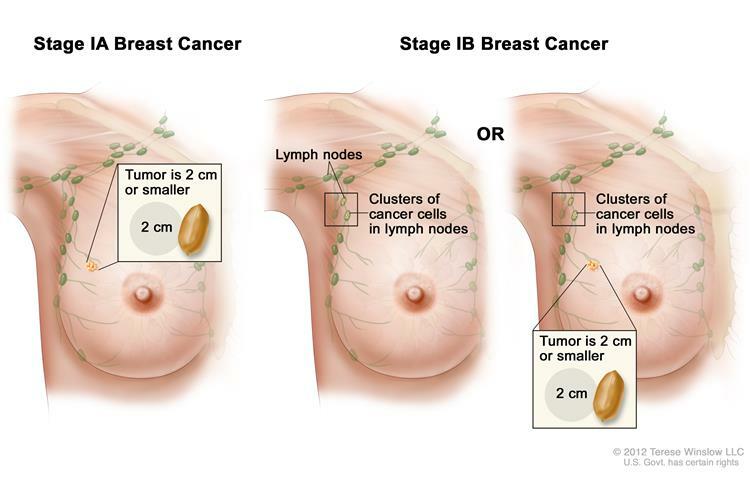 After breast cancer is diagnosed, there is a process to find out whether cancer has spread inside the breast to other parts of the body through different stages. The information gathered in these test determines the stage of breast cancer. It is important to find out the stage of cancer that a person has to plan the proper treatment. We will discuss the following test and procedures that may be used to determine the stage at which the individual has cancer. The sentinel lymph node biopsy. In this system, the sentinel lymph node is removed. The sentinel lymph node is the first lymph node to get lymphatic drainage from the tumor. Lymphatic drainage is a type of gentle massage that is supposed to encode natural drainage of the lumps and brings the waste products away from the tissues towards the heart. A radioactive substance and blue dye are injected near the tumor.The material of dye flows through the lymph ducts to the lymph nodes. The first lymph node gets substances, and dye flows are removed. 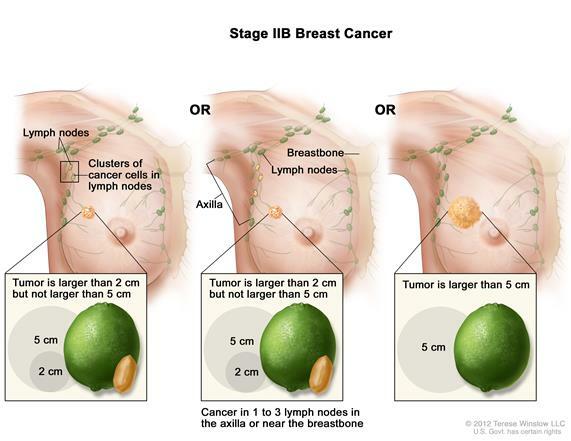 Stage 0 is used to indicate noninvasive breast cancer, such as DCIS (ductal carcinoma in situ). 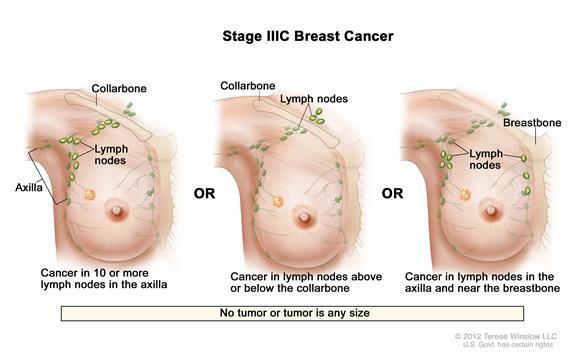 In stage 0, there is not any cancer cells or non-cancerous abnormal cells breaking out of the part of the breast that the began. There is also no evidence of cells invading neighbouring normal tissue. Cancer has not spread outside the breast – There are no lymph nodes evident. There is a tumor in the breast smaller than two centimeters, and there are small groups of cancer c ells, larger than 0.2 millimeters, but smaller than 2 millimeters – within the lymph nodes. Microscopic invasion is possible in stage 1 breast cancer. Cancer cells start to invade the tissue outside the lining of the duct or lobule. Invading cancer can not measure more than 1 millimeter, during the microsipic invasion. The tumor is larger than two centimeters but no larger than five centimeters and has not spread to axillary lymph nodes. the tumor is larger than five centimeters but has not spread to the axillary lymph nodes. Stage III is divided into three distinct categories called IIIA, IIIB, and IIIC. The tumor is larger than five centers, cancer has spread to one to three axillary lymph node or the lymph nodes near the breastbone. may have spread to lymph nodes near the breastbone. There may be no indication of cancer in the breast, or there may be a tumor, which can spread to the chest wall and the skin of the breast. Cancer has spread to axillary lymph nodes or lymph nodes near the breastbone. This may also be called, advanced stage or mechanistic stage of cancer, IV cancer a be a reoccurrence of previous cancer that has spread to other parts of the body. ← What Are the Measles ?